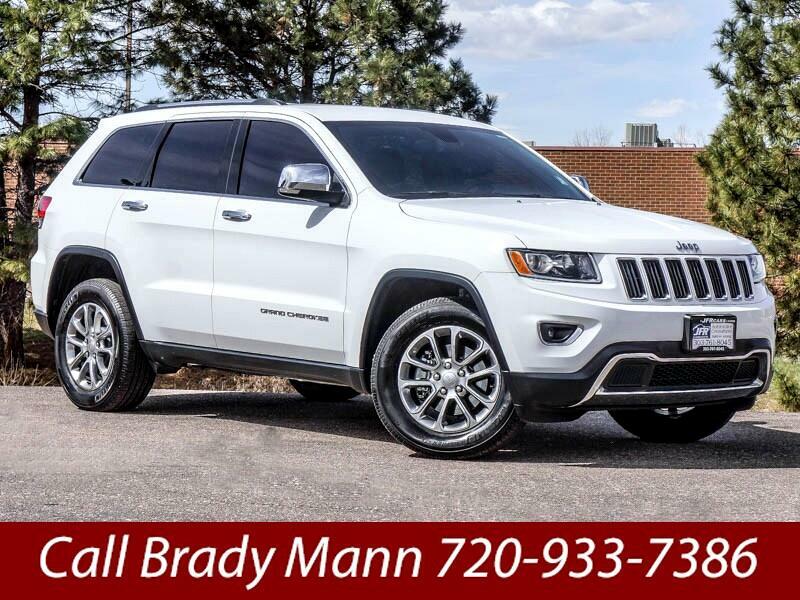 Used 2016 Jeep Grand Cherokee Limited 4WD for Sale in Littleton CO 80120 JFR & Associates, Inc. This Cherokee is a master at when it comes to offering comfortable daily commutes and taming the off-road trails. You'll appreciate the comfy seating and the well-trimmed cabin. You'll like the fact that this One Owner, low mileage, Jeep has been well cared for over the years. It's had regular oil changes and no accidents or damage reported to CARFAX. So you can sleep at night with peace of mind and not wondering about what this Jeep has been through. Although this four-wheel-drive Jeep does enjoy an adventure on the trails, its smooth ride, and luxurious interior make it suitable for everyday driving. This highly desirable Jeep Grand Cherokee also provides you with plenty of power from the V6 engine when you need it. Merging in traffic is a breeze, quick and easy. The quiet and smooth comfortable ride of this Jeep will delight you and your passengers. This Grand Cherokee comes with a variety of options like tinted windows, separate driver/front passenger climate controls, CD player, aux audio jack, a backup camera, front power lumbar support, heated seats, keyless entry, power tailgate, remote ignition, plus lots more for your driving experience more pleasing. You are cordially invited to take this beautiful, low mileage Jeep Grand Cherokee for a test drive and discover for yourself why this SUV is so popular. Contact us today and schedule your test drive. Call Brady Mann at 720-933-7386 if you have any questions or if you would like to schedule an appointment to see this vehicle. Message: Thought you might be interested in this 2016 Jeep Grand Cherokee.